All bookings, changes, alternations and cancellations must be made in writing. All rates are quoted in Norwegian Kroner (NOK) per person and include taxes and VAT. Fjord Travel Norway reserves the right to alter itineraries and accommodation in the event of circumstances beyond our control. In case of changes of official taxation or VAT, prices will be changed accordingly. Minor changes of the booking may be possible before the final payments, depending on the tour. Amendment fees apply according to the requested changes. Major changes on request only. If the tour/product includes non-refundable items, additional costs will apply accordingly. 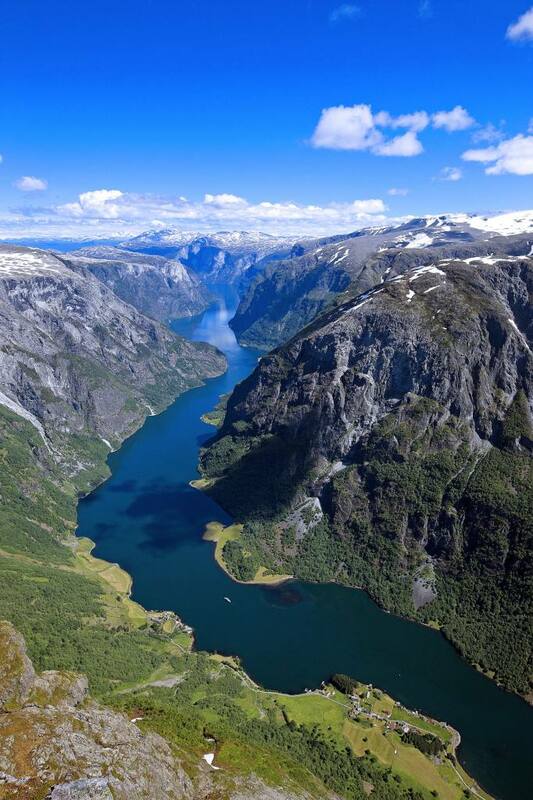 Fjord Travel Norway will do all reservations and confirmations needed. The final itinerary and tickets / vouchers will be available as PDF documents on My Page. Make sure to print out and bring with you the documents. Some trips involve physical paper tickets, these will be delivered at the reception desk of your first hotel in Norway, before your arrival. Prepayment: Deposit payment is required to secure your reservation. The deposit amount of the chosen tour will appear during the booking process. You will be directed to a third-party, secure on-line payment site. Please note that the deposit amount will only be reserved, and not processed, until we have sent our booking confirmation e-mail to you. If we are not able to confirm the chosen tour/start date, the deposit amount will be released accordingly. In this case we will suggest an alternative start date or an alternative trip (depending on the selected tour). Deposits are non-refundable once we have confirmed the booking. Full payments of all services are generally due to Fjord Travel Norway not later than 45 days prior to service start. Services booked within 45 days (tours including Hurtigruten/Norwegian Coastal Voyage cruises, 65 days) of service start are due upon booking, according to the due date of our invoice (the total amount). If we have not received your payments within the due dates all reservations made will be cancelled without further notice. (VISA; AMEX, MasterCard, Diners Club, JCB). 2. By bank transfer (SWIFT). Upon booking the services we send you the invoice/booking agreement by e-mail. You can either pay on-line, as our e-mail invoice includes a link to a secure on-line payment site, alternatively by bank transfer. Please note that you need our invoice to proceed with the payments. All cancellations must be received in writing. The date of cancellation shall be the date when written notice is received by Fjord Travel Norway. General cancellation charges: Equals the deposit paid. From 14-0 days prior to service start: no refund. In case of force majeure, such as riots, floods, earthquakes, strikes etc. the contract ceases to be binding for both parties. Travel insurance and trip cancellation insurance is recommended (can not be issued by Fjord Travel Norway), and we advise you to arrange for the insurance in your home country. The agreement between Fjord Travel Norway and the customer and all related questions, hereunder any dispute concerning the general terms- and conditions listed here, shall be governed for all purposes by Norwegian Law, and possible disputes shall be settled by Bergen City Court, Norway. In general Fjord Travel Norway shall not be liable for any injury, damage, loss or accident of whatever nature on any person or goods (including financial loss and consequential damages) incurring during, after, in connection with or as a consequence of customer’s booking, travel or stay organized through Fjord Travel Norway, unless such is caused by intent or gross negligence on the part of Fjord Travel Norway. Fjord Travel Norway acts as agent only for the operators included in the tours, hereunder transport operators, hotels, activities etc. Thus Fjord Travel Norway is not responsible for any injury, damage, loss or accident inflicted on any person or thing (including financial damage) caused by negligence or with intent from any such operator. The agreement between Fjord Travel Norway and the customer is not a promise of transport according to the Norwegian act of 24 June 1994 nr. 39 (sjøloven), thus Fjord Travel Norway is not to be regarded as “bortfrakter” according to the provisions in this act. Some of our tour packages include activities such as dog sledding or snowmobile safaris, and optional activities such as reindeer driving, RIB-safari, ice fishing and similar activities. In this relation Fjord Travel Norway acts as an agent only for the activity providers, thus Fjord Travel Norway shall not under any circumstances be held liable for injury, damage, loss or accident caused by participation in or in connection with such activities. By paying the deposit/final amount the customer has accepted the general terms and conditions listed in this document, as a part of the agreement between Fjord Travel Norway and the customer. We ask for personal information in the booking request section. This information is necessary to ensure that we are able to make and confirm your booking. This information will not be used for any other purposes, and will not be shared with any other outside parties except for necessary information given to the parties involved in your booking (hotels etc.). The personal information will not be sold or shared, and your e-mail address will not be forwarded to outside parties.